During this period of existence the Kosovar Occupational Safety and Health Association (KOSHA), carried out several activities leading to the promotion and awareness of the wider population in Kosovo . These activities were organized in close collaboration with the Labor Inspectorate , with whom we have signed a memorandum of understanding and with financial support from the Friedrich Ebert Stifftung office in Pristina - FES and Macedonian Occupational Safety and Health Association-MOSHA . Realized activities are associated with the celebration of World Day for Safety and Health at Work - 28.April, and celebration of the European Week for Safety and Health at Work and the Agency campaigns for Occupational Safety and Health at Work ( EUOSHA - Bilbao , Spain ) . 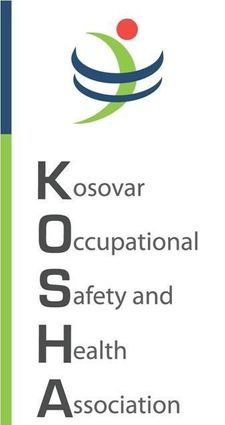 Kosovar Occupational Safety and Health Association ( KOSHA), in cooperation with the Labour Inspectorate, on May 19, 2011 organized a seminar for representatives Labor Inspectorate , chambers of commerce , trade unions , with the theme : " System Health and Safety jobs - normative " . Presenters at the seminar were experts from Macedonia who covered the experience in the way of harmonization of the Macedonian legislation with EU legislation . This workshop was funded by the Macedonian Occupational Safety and Health Association – MOSHA.